There might be some errors in the text in different places, so I ask for your understanding that this is the experiences and reflections from a tourist. Please send an e-mail to robnyman@gmail.com to let me know of any factual faults. If you want to write a general comment, please do that at the main web site. Our different excursions and happenings are described below and in the different options in the menu to the right, or go straight to the Immagini section for pictures or the Pellicola section for videos. It should also be noted that the Lonely Planet - Rome book was a life-saver on this trip. -Johnson, where the hell are you? -Yeah sure, I can hear the kindergarten in the background, ok?! We arrived in Rome, and after customs and getting our luggage, we eventually found our driver, Luca, and walked to his car in the 29º Celsius heat. He got us to our hotel, Albergo della Lunetta, where he got too much in tip and took off. The hotel is located in the Piazza Paradiso, just a block from Campo di Fiori, and the reason we chose it is that it's basically in the centre of everything in Rome. Walk west and you have the Vatican, walk east and you have Colosseum (and so on, you get the drift). For some reason, someone had written his tag, "Gollum", on a wall next to the piazza. But it didn't matter, it gave us exercise. Besides, it was in room 307 that Emilia took one of her first steps and also where she almost managed to climb her travel bed! 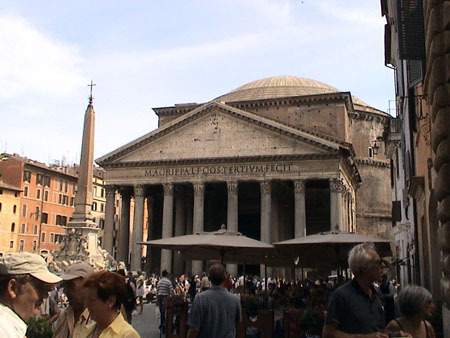 I used to trick Fredrika so we just "happened" to walk by Pantheon. After seeing all these places, we walked by someone with an IKEA bag. 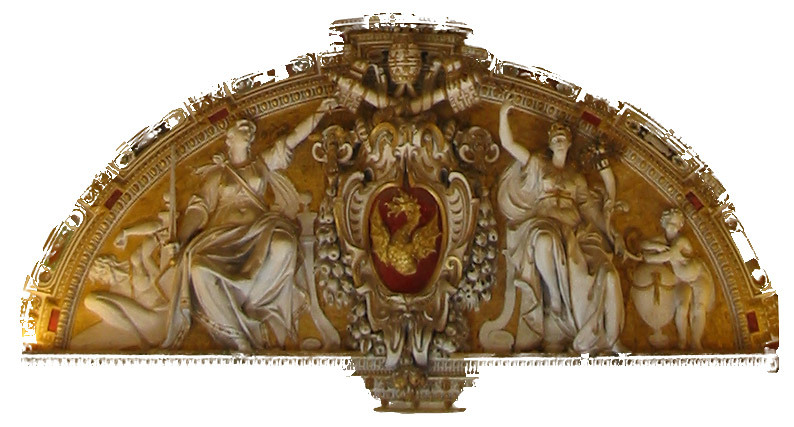 Fredrika then uttered the word that neither Piazza Navona, Elefantino or Pantheon could pull out of her: -wow!